Edge of top sheet should cover to the innermost factory line on bottom sheet. Clean splice area of both sheets with Weathered Membrane Cleaner. Prime splice area of both sheets and wait for flash-off. Hand-apply 3″ (7.62 cm) Peel & Stick Seam Tape such that tape edge is placed at edge of outside factory line on bottom sheet. In temperatures below 40°F (4°C), use of heat gun and hand roller are required. Position top sheet, ensuring 1/8” to 1/2″ (3.175 mm -12.7 mm) of tape exposure. Pull clear poly from tape at a 45-degree angle while applying hand pressure. Roll splice area with hand roller. In cold temperatures, use of a heat gun is required when working with all uncured EPDM flashings. WeatherBond offers four types of membranes for single-ply roofing, all perfect for commercial and residential low-slope applications. 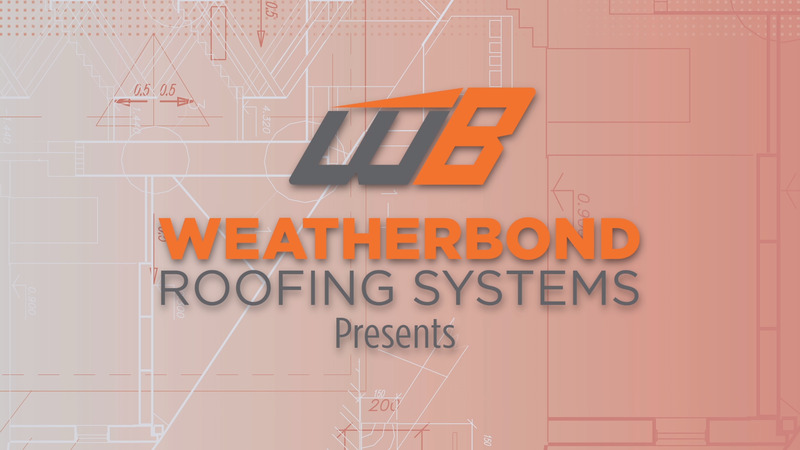 WeatherBond is a leading supplier of single-ply roofing systems. These include EPDM, TPO, PVC and a full line of accessories for each membrane.